This is the apocalypse, we’re sure of it. The MacFarlane Train is rolling into town and we’re making for the hills. Rarely have we sat so stoney-faced through a comedy than when we watched the original Ted. 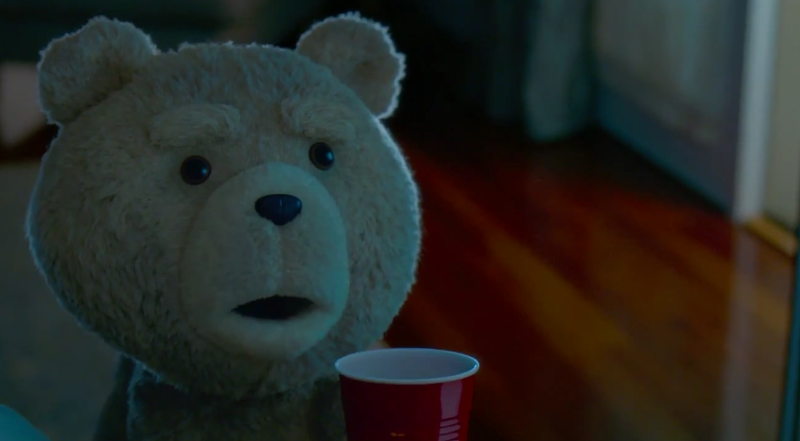 Rarely have we sat so stoney-faced through a comedy trailer than when we just watched the new red -band trailer for Ted 2. Premise great. Wahlberg welcome. Execution awful. There was a time in our lives when Family Guy and the general creative output of Seth MacFarlane was something we might be interested in. That time is no longer. Ted 2 stars Mark Wahlberg, Seth MacFarlane, Amanda Seyfried, Morgan Freeman and Giovanni Ribisi and is set for release in June, 2015.